Again,what in the domestic violence world is going on? 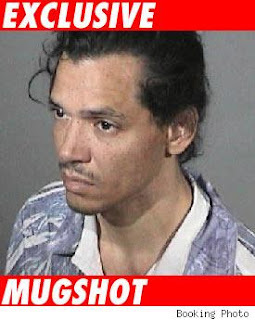 El Debarge was arrested this past Sunday night for domestic abuse. I've made this statement 3 times this month....that's too many times. I may have to create a separate section for these type of domestic violence reports. It saddens me to hear this story. It's no secret the Debarge family has had a history of drug abuse as well. I just hope for the best for El and his entire family. I am friend's with Momma Debarge and Bunny on Myspace and they are constantly sending out encouraging messages to their friends. I just hope they are are staying inspired themselves. Before Ralph Tresvant, El Debarge was my first love. No wait, I think Willis had both of them beat.